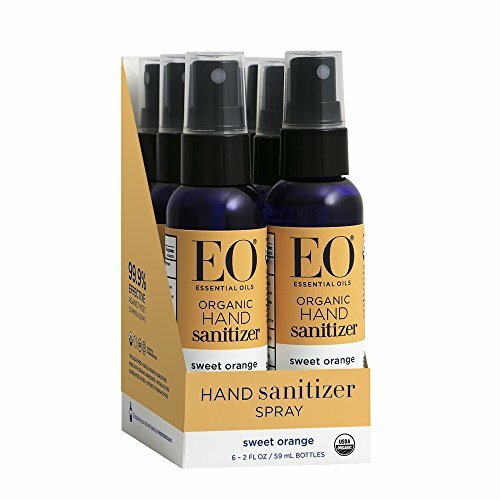 Why we love it: This natural disinfectant spray from EO is 99.9% effective against most common germs and does no harm when absorbed into the skin or our ecosystem. TSA approved, each travel sized bottle is perfect for tucking away in a purse, carry-on bag or even for the gym. Disinfect your hands, airplane seatbelts, door handles, gym equipment...just spray away! The only thing left behind is the soothing scent of pure Peppermint, Lavender or Sweet Orange essential oil. Comes in a pack of 6 travel size bottles.